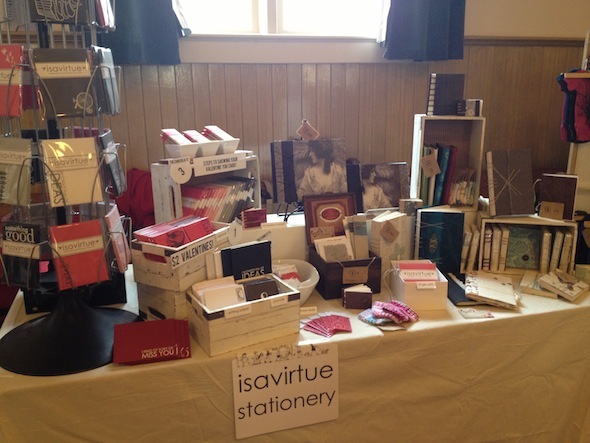 in october i sold stationery as a vendor at the united eclectic craft fair. and when i learnt that they would be having a valentines fair...it seemed too perfect to resist! 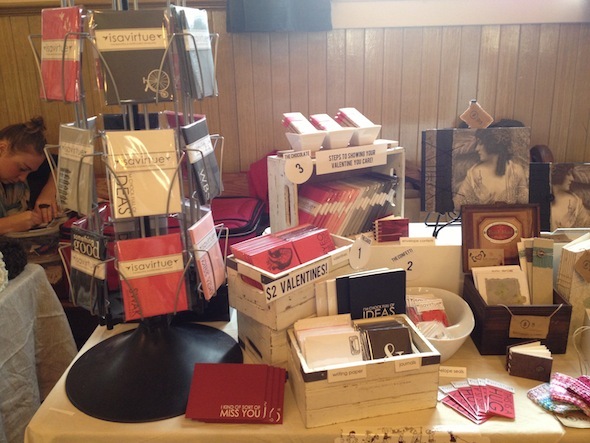 i invited my friend bonnie who makes the most beautiful coptic bound books to share a table with me and the photos below show our little set up! 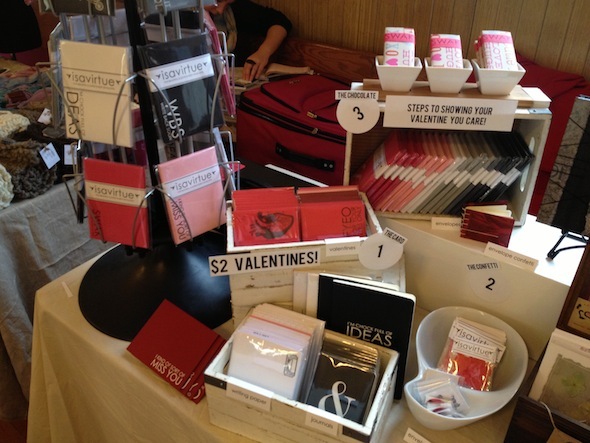 it was a great day, i sold tons of valentines and got to chat with lots of people about my stationery. and the united eclectic ladies put on a wonderful show as usual with musicians, card making, a valentines photo booth and even a cakewalk! that set up looks amazing, everything looks so cute and nice...I need it all!!! are those knit cup cozies? love it all! lol, yes but they were made by my friend bonnie - so cute. I frequently travel to Victoria. Where is this new store located? Looks amazing! thanx I have work there the first week of March and looking forward to fill my suitcase of goodies to bring home! Love your blog! Do I see chocolate in there as well?